After serving as the first victim witness coordinator in Howard County’s State’s Attorney’s Office from 1979–81, she became a senior assistant state’s attorney upon her graduation from the University of Baltimore law school. In 1988 she left the State’s Attorney’s Office and went into private practice, handling criminal defense and other civil matters. Soon, she found she was developing a caseload that involved a lot of family law work, and in 1999, her firm made the decision to do family law exclusively. “That’s been the case [for me] ever since,” said Ostovitz, now a principal at Offit Kurman, in its Maple Lawn office, which she joined in 2015. Linda Sorg Ostovitz is a family law attorney. Her legal experience spans more than 34 years. In this time, she has served as a leader, educator and advocate. Mrs. Ostovitz holds a prestigious fellowship in the American Academy of Matrimonial Lawyers. Currently, she serves as President for the Business Women’s Network of Howard County, by which she was chosen Woman of Distinction for 2014. 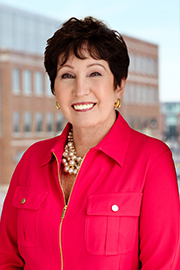 Mrs. Ostovitz represents clients in Howard, Anne Arundel, Carroll and Baltimore Counties. Her practice focuses exclusively on divorce litigation and mediation, child custody and access, child support, alimony, business valuation, as well as property and asset distribution. In addition to providing legal representation in court, Mrs. Ostovitz provides mediation services to help families come to a fair and legally-sound conclusion outside of the traditional court proceedings.